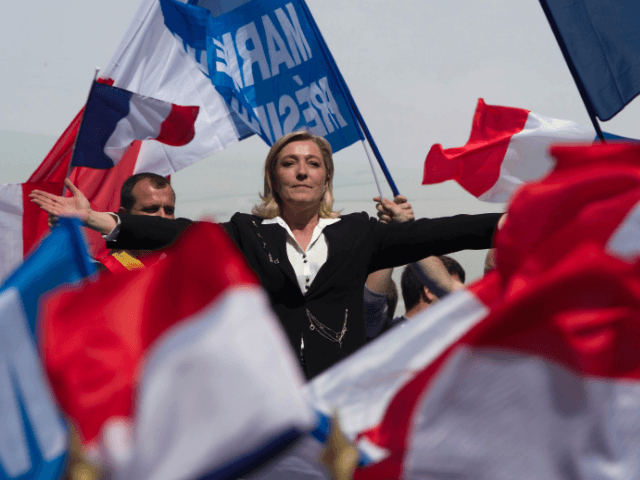 Marine Le Pen has pledged to suspend France’s membership of the European Union’s borderless Schengen area immediately if she is elected to the presidency, and deport all foreign nationals on the republic’s Islamist watch list. “Every second of my presidency will be useful to France and the French,” said the 48-year-old leader of the Front National, in a video outlining the first ten measures she intends to implement if she is elected. Pulling out of Schengen, described by former Interpol chief Robert Noble as “effectively an international passport-free zone for terrorists to execute attacks on the Continent and make their escape” following the Paris attacks, means an immediate showdown with the EU’s unelected central executive. Ms. Le Pen said she would give the EU six months to accept wide-ranging reforms permitting member-states signed up to Schengen and the euro to restore their borders and national currencies, or she would organise a referendum on following the United Kingdom out of the bloc. Other measures proposed in Ms Le Pen’s ten-point plan include stripping dual nationals convicted of extremist links, such as returning Islamic State fighters, of their French citizenship, lowering the retirement age from 62 to 60, and cutting income taxes. The theme of the 48-year-old’s campaign has been ‘France First’, with a strong emphasis on safeguarding workers’ jobs, prioritising French nationals for social housing, and so on.